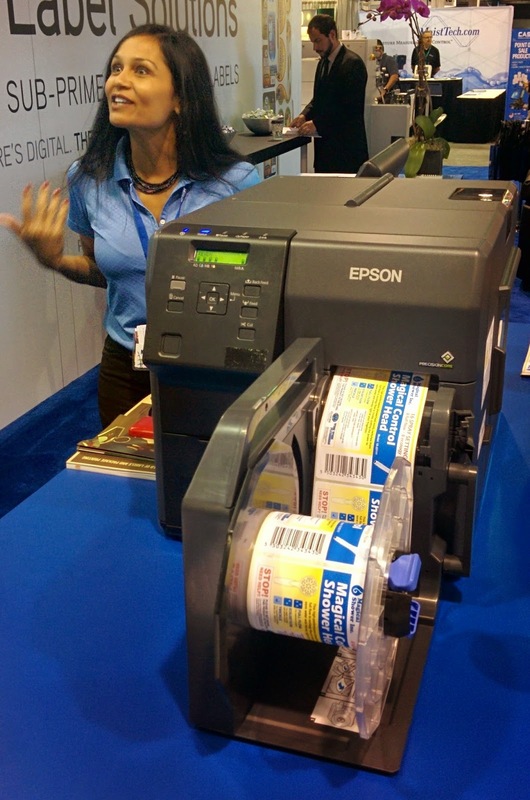 At Label Expo, http://www.labelexpo-americas.com/, Epson demonstrated the new TM-C7500 color label printer. From my perspective, this new color label printer brings several key advantages to the market. First is the print resolution. At 600 x 1200 dpi, the resolution is much higher than Epson’s previous printer, the TM-C3500, at 720 x 360. In addition, this printer uses a new “linehead” printhead, eliminating the potential for “banding” which may occur when the printhead moves in the TM-C3500. This banding is most likely to occur when printing large blocks of color. At this resolution and the new line printhead, this printer should have no problem printing prime labels, covered edge-to-edge with ink. Second, the new PrecisionCore Chip technology makes the printhead a non-consumable item. 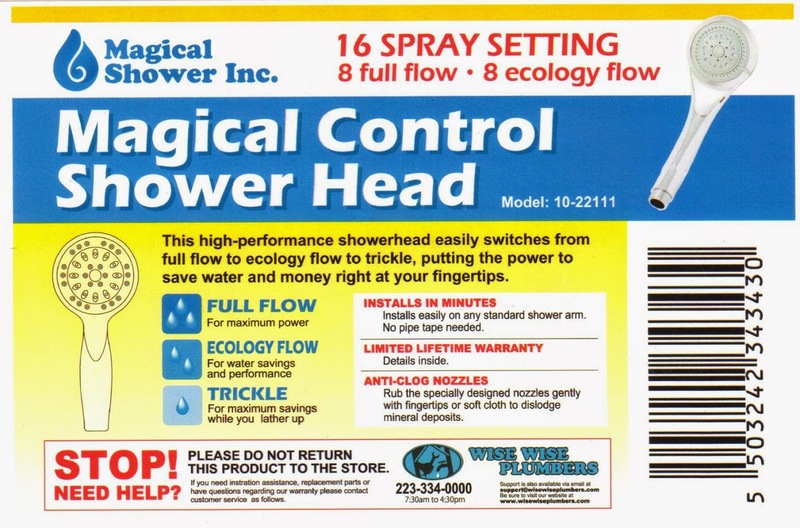 You don’t have to replace or even maintain the printhead. Eliminating the need for maintenance makes this printer much easier to use. Just print. If it breaks, Epson should have a version of their Spare-in-the-Air extended warranty available making the printer easy to service. Third, the C7500 comes with a built-in ZPL emulation and colorization capability. With the ZPL emulation, this printer can print directly from an application that uses Zebra printers today. I believe this capability will help eliminate the need for and the inventory of preprinted color labels (assuming the ink is priced even to or slightly less than the existing TM-C3500 ink). By adding the preprinted color image to your existing ZPL, you can print color labels on-demand probably at a price close or equal to purchasing them from a printer. I look forward to learning more about the price/cost benefit of this printing on-demand versus purchasing preprinted labels. And fourth, the C7500 uses a durable, encapsulated pigment ink and label media similar to the TM-C3500 and GP-C831. This waterfast and chemically resistant durable ink makes this printer especially suitable for any application where water or chemical resistance is required. After working with other printers, I’ve come to realize the importance of this feature of the Epson printers. Although the printer is much faster (12” per second), I don’t find this capability that important; except maybe in situations where companies print, rewind and apply. With the built-in unwinder with capacity up to 8” rolls and the optional rewinder, the printer will be capable to produce a lot of finished rolls quickly. As for downsides, I see three. First the printer has a max print width of 4.1”. This size eliminates using this printer for drum or other packages requiring wider labels. Second, the printer requires up to 10 seconds to first print. As I understand, the printhead moves out of the way when not in use. The printhead must move above the media to start printing. For longer runs, this time is not a problem. If you want to print one label at a time, this time to first print could be an issue. Third, the printer will not be Generally Available until approximately January. According to Epson, it may be available as early as December; depending on production, shipments and initial orders. With all the new components and technology in this printer, General Availability may be delayed. Overall, I see the TM-C7500 as revolutionary technology that will change the label printing market, making color as easy, fast and affordable as monochrome label printing. Plus, this printer has the potential to replace many thermal transfer printers; at least those using preprinted color. As an early adopter of this technology, Color Label Solutions will be the premier reseller of the TM-C7500; providing the expertise and support you need to move to this new technology. Contact me to discuss how the TM-C7500 may fit your requirements; or to get in the queue to purchase one of these new label printers. Ball Park price of TM C7500?? $8,495 plus either return to depot service or on-site service. In testing or reviewing, did you find that the printer uses alot of supplies? We purchased 2 of these units and are finding ourselves replacing the cartridges every 2 or 3 days along with the toner collection boxes. We were under the impression these were cost saving and supplies are starting to price out out previous VIP printer with MemJet technology. Anyone else with the experience? 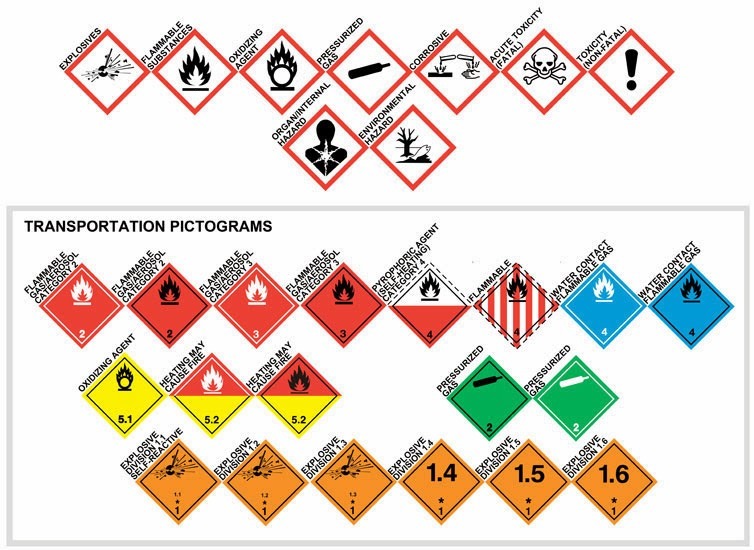 Given the durability requirements of vape labels, I recommend the Epson printer. The encapsulated pigment ink used by the Epson printers is much more durable than the dye based inks used in the Afinia L801 and Memjet printers.